After testing your dust in our Engineering Testing Lab, SDC will complete and provide a Dust Analysis Report with our recommendations and quotation tailored for your dust collector. 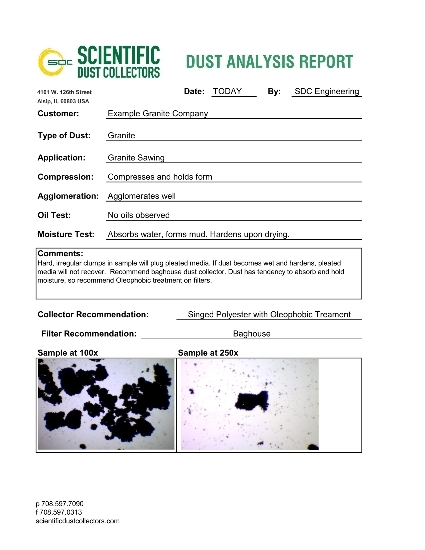 If you're interested in having your dust tested by SDC, please fill out the Contact Us form with your information and we will send you instructions on getting your dust to us. *Please note. 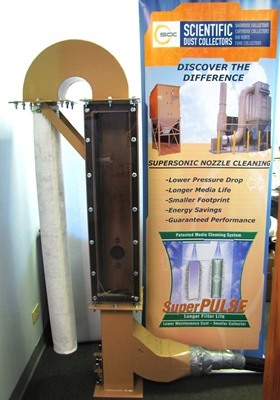 SDC is NOT capable of testing for Combustible Dusts or Dust Explosivity Ratings for Combustible Dusts. 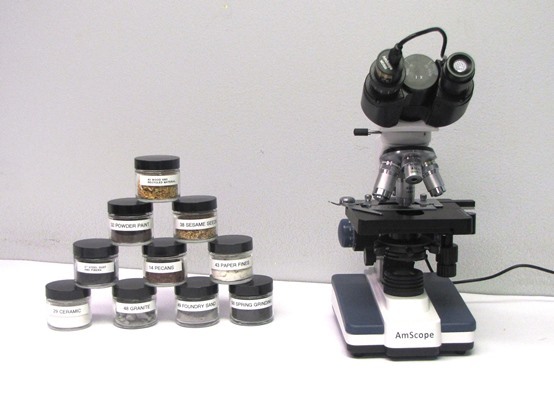 We can assist you in getting your Combustible Dust tested by an accredited lab. Please contact us for further information.